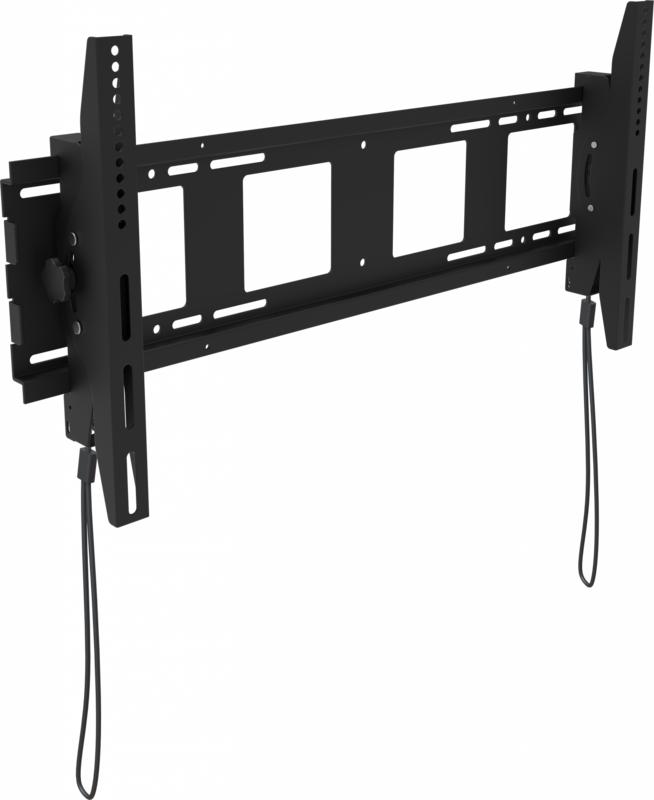 Vision’s VFM (Vision Flat-Panel Mount) range is tough, flexible, and quick to install. 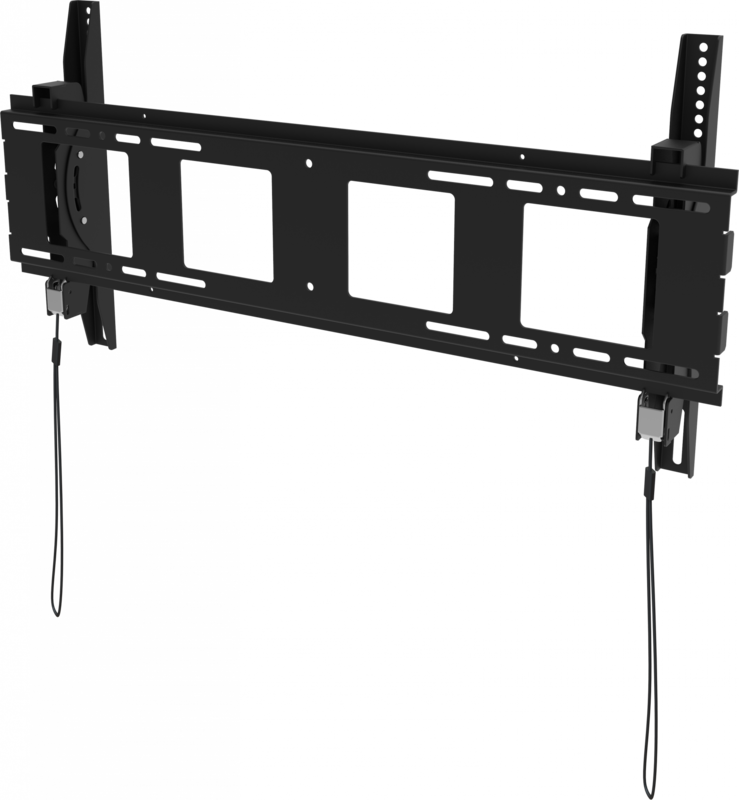 The VFM-W8X4T fits any large flat-panel LCD or LED screen which has rear mounting holes up to 800 wide x 400mm tall apart. The tilting mechanism allows 15° up, and 15 ° down movement on the vertical plane. Interactive flat panels are large and very heavy. 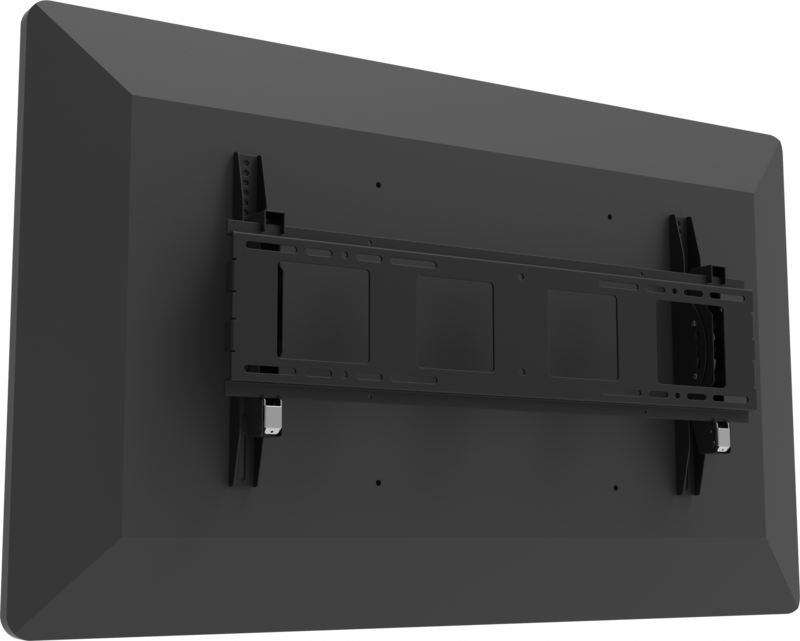 Vision’s VFM-W8x4T uses heavy gauge 3mm sheet metal to take the weight of these displays. It fits the vast majority of large-format displays from 47-90″. 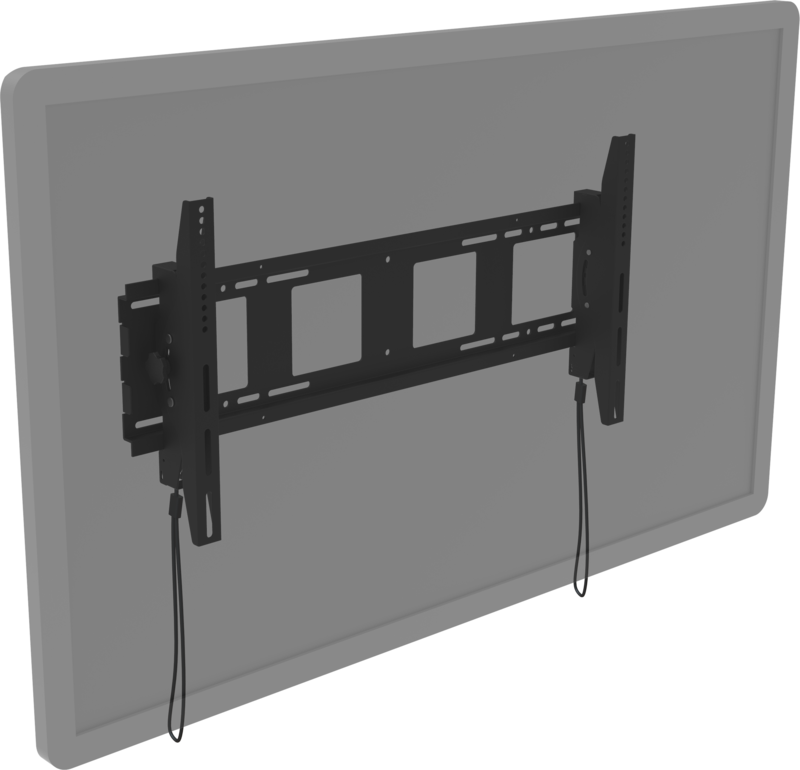 Click here to look up the VESA size of your flat panel. A proven design allows fast fixing, and slotted holes on the wall part allowing levelling and side to side adjustment after fixing. Once in place a locking mechanism automatically engages. It can be released by a pull-string.